(Arutz Sheva) The IDF reports that the passengers on the Gaza-bound flotilla lay in wait for the IDF to board their vessel and then attacked IDF soldiers, opening fire on them. 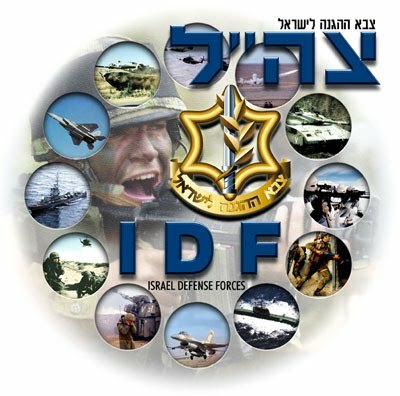 One IDF soldier was critically wounded. A crew member reportedly snatched a gun from an IDF soldier and then opened fire on the troops. Another soldier was stabbed in the stomach with a sharp object. The soldier is in moderate condition and was transferred for medical treatment by helicopter to Rambam Hospital in Haifa. Doctors there determined he would require surgery. At least fourteen soldiers were wounded and were transferred to hospitals. Raad Salah, anti-Semitic head of northern branch of Israeli Islamic Movement, is reported to be severely injured. The IDF spokesperson said that the crew of the flotilla were not peaceful humanitarians, but rather militants who were preparing for provocation and violence, and were planning to stage a "lynch" of the Israeli soldiers. Other people wounded in the operation were transferred to various hospitals in Israel via helicopter. Foreign news agencies including Turkey's news agency are claiming that Israeli forces wounded dozens of the crew and that several were killed. Footage from the operation has already reached some news sites. In the footage, Israeli soldiers wearing gas masks can be seen. In one video, an IDF doctor can be seen treating one of the wounded. Soldiers are still checking the boats for explosives and hiding militants. Late Sunday night, the Israeli Navy surprised the six-boat flotilla bound for Hamas-controlled Gaza in international waters and hundreds of IDF soldiers who came by air and sea boarded the ships and announced to all passengers that they are under arrest. One of the crew said that one “Navy warship” had contacted the six boats in the flotilla and asked them to identify themselves. They were told the Navy would board the boats if the ships's crew and passengers do not agree to head for the Ashdod port instead of the Gaza Coast, where Israel maintains sovereignty under the Oslo Accords and does not allow ships to approach without searching them for arms. International law allows for countries to ask suspicious boats to identify themselves. The vessels' passengers did not cooperate and called the move "scare tactics" on their streamed broadcasts. The IDF searched the boats for arms immediately after the takeover. The soldiers were forced to use tear gas after they were attacked with knives, daggers and cudgels, putting their lives in danger. Unofficial reports that ten persons have been killed and another ten wounded were admitted to Rambam Hospital in Haifa were changed by the Arab television station Al Jazeera, to two killed and four wounded. An Al Jazeera reporter on one of the boats reported hearing gunshots. 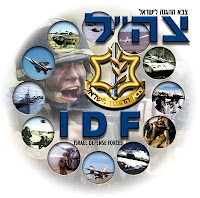 The IDF has not issued a complete report on casualties or wounded in the operation. However, hospitals were put on alert to accept possible wounded. The IDF released a terse statement shortly after midnight Sunday, stating, "Israeli Navy soldiers left this evening in order to stop the flotilla's provocative trip to Gaza. During the last few days, the soldiers have been conducting drills to ensure the mission's success." Turkey's government called an emergency meeting to discuss the IDF action. Defense Minister Barak is holding ongoing meetings with his advisors. The flotilla activists, some of whom are identified with terrorist Muslim groups, did not expect a confrontation with the Navy until Monday morning, when the flotilla expected to near the Gaza coast. The flotilla sailed on Sunday, more than two days later than planned and without two of the ships that did not join because of malfunctions but which were expected to set sail after repairs. Israel was determined not to allow the boats to reach Gaza and set a precedent that would break Israeli sovereignty over the waters in order to prevent terrorists and arms from being smuggled from the Mediterranean Sea as they are from Egypt. The flotilla included three ships of passengers and three cargo ships with aid. The Israeli military and Foreign Ministry accused the activists of being more interested in trying to stage an anti-Israel stunt and strengthen Hamas rather than trying to help Gaza Arabs. Government spokesmen pointed out repeatedly that aid always can be shipped to Gaza through the Ashdod port, and that the alleged “humanitarian crisis” is a ruse because Israel oversees daily shipments of hundreds of tons of food, merchandise and supplies.